Hundreds of stone warriors, swords, axes and arrows! If this sentence conjures an image of yet another grisly war game in your mind, be prepared to be pleasantly surprised. 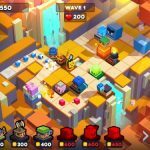 A market leader in the word of tower defense games has just hit the App Store and is taking over the gaming world by storm. MapleStory Blitz is the latest new product by the gaming powerhouse of NEXON Company and completely delivers on what is promised and much more. MapleStory Blitz is available to download and play for free on iOS devices from the Apple iTunes App Store and although it has been made available for selected regions at present, the developers are working day and night for a worldwide release. The game comes in a hefty package size of 1.36 GB and provides days and days of gameplay in that size unless you become so addicted that you manage to end the game soon. Therefore do remember to check out the available storage space on your device because this is one game you would not want to miss out on just because of a lack of storage space. The game receives regular love from the developers and they pay close attention to the suggestions and criticism from players striving to always maintain and increase the standard of this game. The most recent version of MapleStory Blitz is version 0.9.44 which was released on 14 December 2017. MapleStory Blitz is one of the most interactive tower defense strategy games available for Apple operating devices in the market at the moment and completely immerses even a new player into the flashy battle mechanics. The game stems from browser versions of the game with the same concept that got immense popularity in a relatively short amount of time on the internet. Introduced in an age where flash gaming was the latest thing, the original tower defense games quickly gained a loyal and devoted player base through the unique and extremely addictive gameplay. MapleStory Blitz basically continues upon the original legacy of strategy based browser games and incorporates all the elements of gameplay in addition to providing a beautiful looking and highly interactive user interface. Where the original tower defense browser based games were just mindless clicking games where the main objective was to kill as many creatures as you can, the mobile game builds upon an interesting storyline and takes you on an adventure as you compete with your friends on Facebook for the title of the Ultimate Defender and StoryBuilder! The gameplay mechanics of MapleStory Blitz are fairly straightforward and the game is designed to be played by players of all ages and genders so naturally the difficulty level is quite low. However, earning the title of an Ultimate Defender in the game is something reserved only for the most dedicated and passionate players. 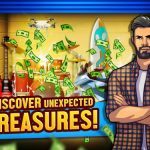 The game has an exponential reward rate but that comes coupled with an even more sharply increasing price rate for upgrades and power ups in the game. Purchasing in-game items or the Golden Coins and gems as they are referred to in MapleStory Blitz is also an alternative option for those players whose eyes start aching from staying in front of the screen too long or if you think keeping the screen awake for so long might be detrimental to the health of your smartphone. Therefore, if you are not a pay to play player, this guide includes some tips on how to proceed with your upgrades in order to level up the fastest and follow the fastest path to becoming the Ultimate Legend in MapleStory Blitz! In MapleStory Blitz, there is an ensemble of two different kinds of Warriors available to you. “Melee” warriors are the characters which can only attack physically and from a very close range. These attackers and defenders usually wield weapons like swords, lances or axes and have a very high attack power and abilities. Their lack of range is usually compensated for by their large health points and good defensive as well as offensive skills plus they are able to kill most early enemy warriors with a single blow which is the greatest skill you could ask for at the earlier stages. Similarly there are “Ranged” warriors in the game which can attack from different distances varying from character to character and how many levels you have upgraded their equipment and levels in the game. The Ranged warriors are the first characters that you get introduced to in the very first wave of the game by the in-game tutorial. These ranged warriors have a fair bit of firepower at their disposal but unlike their melee counterparts, they are unable to kill enemy warriors at the earlier stages with one hit and therefore should be placed at the very end of the line in order to wipe up any smaller enemy warriors that managed to escape from the clutches of your melee elites. Their range also allows them to attack enemy warriors and defend the area while staying at a safe distance. However these ranged warriors have much lesser hit points as compared to the stronger Melee ones and therefore the enemy is much harder to kill for them. They also usually have a lower attack speed and a slow turn rate so escape is usually easier for the enemy if they manage to go forward unscathed by your Melee defense. Both Melee and Ranged warriors have their uses in different games and your chances of winning or losing are partially already decided while the warrior picking phase is under process. For example, if your team has only Melee warriors and does not have a single Ranged warrior, it will do very badly in the early game phases especially when there are a lot of enemy bad blocks rushing up against you. This defending block line up has great late game potential due to the immense damage per second output of an all Melee team but it will be actually very hard for the Melee defending team to reach a point that will enable them to upgrade items that will help them deal that much damage in the late game phase. Similarly an All-Ranged defending block team is a recipe for disaster because a single Melee defending block is always needed to at least one shot kill some of the bad blocks before the ranged defending warriors can start doing their job. There is simply no hard defined criteria for choosing the line-up for your team as the process of bad warriors coming out of the enemies factory is not under your control and the game throws random high difficulty warriors at you during the higher stages and at high speeds as well. However at the higher levels, it is prudent to actually plan during the extra time before picking any defending warriors and aim for combination line-ups. This is an excellent strategy in most cases and creates great synergy between the carefully placed defending warriors regardless of whether they belong to the melee or ranged factions or even a mixture of both types. A team that is entirely focused on killing enemy warriors or a team that includes many high attack defending blocks will surely be able to end the game much faster than a team which has defending blocks fighting solo on each level. Remember, MapleStory Blitz is a strategic tower defense effort and you can win a game only and only if you synergize your plans with the requirements of each particular level. MapleStory Blitz is a complete strategy tower defense game with traditional as well as modern war elements thrown into the mix so expect the laws of battle mechanics to come into play as well while you are engaged in a tense showdown with your opponents. Similar to a real life situation, you will have to choose whether you want to confuse your enemy by using a mix of combinations and covert strategies or meet him head on with the firepower of hundreds of warriors in tow. Whichever strategy you choose to play with, always remember you can change your gameplay style whenever you like to one that suits you much better and it ultimately depends upon which style of play you are more comfortable with because you are the Story Builder for you warriors and you have the responsibility to look out for their best interests. If you are confident in your ability to command a huge army of melee and ranged warriors and finishing your opponent with only one mighty blow, upgrading the starting weapons available to your warriors and ensuring that they deal the highest damage output as a team is the best option for you. You can also opt for heavier armor on each individual warrior category as it will lead to a much greater overall defense when your forces are met by resistance from the enemy wall of defending warriors and this will create a much bigger impact creating the opportunity for a one shot defeat of the enemy forces. You will immediately feel the difference when you upgrade your weapons and armor as your warriors will become much harder to control. This is due to the additional weight of the heavier equipment and you will have to adjust your gameplay style accordingly. To deal with the extra weight, wait for your opponent to settle down before you launch your soldiers into battle. Now using your new and upgraded warriors, strike the enemy and you shall witness true carnage and an epic scene of war right on the screen of your smartphone. If your strategy is good and this can be perfected through practice; the enemy will immediately fall back down to the defensive and will not be able to retaliate due to the extreme force of your heavy initial attack. With stronger warriors you will deal less blows but much more damage to your foes and this is very beneficial if you have an aggressive play style but cannot devote too much time to the game which would prevent you from making successful repeated attacks on the enemy. Remember, your primary objective at each level in the game is not to kill as many enemy warriors as you can, but to destroy the primary enemy tower in order to progress to the next stage! Once you are in the battlefield opposite your enemy, every other detail ceases to matter and the only two things that are important for your survival are your warriors and your battle strategy. You are given a standard set of weapons and armor at the beginning of the game and they serve you quite well for the duration of early battles with the weak set of warriors that you have at your disposal. However when you are faced with more powerful soldiers like the Heavy Stone Golems, these weapons and armor prove to be quite inadequate for your defensive needs. At this point you will have to choose between upgrading the standard set of weapons and armor to a higher level which improves its defense and protection stats or to sell your previous equipment in favor of a new bundle of weaponry and armory for your precious warriors in MapleStory Blitz. This is a crucial decision making point in the game and your choice will determine whether you will need to make further upgrades or even spend some money on in-game purchases to ensure your survival in the game. This does not in any way entail that you should not try to play for free but it is a well-known and appreciated fact that there is a much better selection of weapons and armor available for a small amount of gold coins so a little investment into your warriors could really change the fate of the world as we know it in MapleStory Blitz. MapleStory Blitz operates on the principles of real life physics and blocking aggressive enemy attacks with a strong barrier is one of the most important aspects of a battle with all the enemies in this extremely addictive tower defence strategy game. Many times you can turn a lost situation to your advantage by blocking a critical strike from the enemy and bouncing back with your own counter strike on the opposing forces. This counter move on your part is only possible when the defensive mechanisms you have in place to take on the enemy forces are strong enough to withstand the impact of that first critical blow that your opponent lands on it. 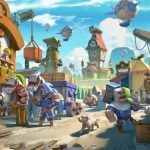 Simply put, a better defence mechanism greatly increases the survivability of your warriors and tower stronghold which leads to loss of fewer lives in battle and a better chance of rapid progress throughout the game. In order to ensure that you have the best defenses and especially if you are a defensive style player, always keep checking the inventory tab where new offers come in regularly. Some of these offers allow you to exchange your existing defense shields for new ones with much better stats and defense abilities. Be on the lookout for such offers because they can greatly help you step up the survivability of your warriors in battle. When upgrading your defense shield you should always look towards striking a balance between penetration protection and counter retaliation. You may be able to get a very strong defense shield but its sheer weight will cause your stronghold to be crushed under it when the enemy lands the first critical strike. On the other hand a very light shield will definitely allow your warriors to leave quickly for battle but a single strong hit from the enemy could easily penetrate your shield causing significant damage to your stronghold. Keep all stats balanced and you should be ready to take on all kinds of enemy forces in MapleStory Blitz! You must have heard of the popular phrase “Knight in shining armor” and it’s prevalence in contemporary as well as modern literature just goes to show how much value armor holds for any warrior. In MapleStory Blitz, you start with simple armor which only works to deflect dull ended blows and does nothing in the way of protecting you from close range physical attacks or heavy ranged attacks. However, the developers have made sure to provide a huge collection of armor with varying stats and defensive abilities so that you can customize your precious warriors according to your game play style. The choice of good armor for your maple warriors also depends on the play style that you have taken up that is aggressive or defensive. Similar to the mechanics of upgrading your defense shield when you are on defensive mode, if you have an aggressive play style then go for lighter and stronger armor which allows more speed and flexibility for your warriors in battle. These are mostly the Light Chainmail and Maple thread armor types and wearing these your frontline warriors can easily spring back and forth and attack the enemy forces when they are least expecting it. An alternative option is to upgrade to a heavier armor set like heavy plated steel armor. This choice should be considered if you have a defensive style of play and prefer to increase the health and survivability of your warriors over their overall damage output during a battle. This armor is very heavy so be warned that your warriors will have very restricted movement and you might even confuse this factor with the game running slow on your device sometimes. This choice of armor is only for those patient players who have the will to keep standing against all odds and any type of threatening enemy in front of them. So you have decided to become an Aggressor! This is the chosen path of warriors, the true men who never hesitate to give their all in the quest to rise above the usual pile of simple tower defenders. Beware of the dangers that will beset you when you take this path for they are not few and certainly not easy to overcome. The first and foremost requirement of following the path of the Attacker is to make sure your fingers are very well rested and you are not in a family gathering or public event where you could be scolded for the extreme shouting behavior that you will most certainly go through while playing this way. You begin with no defending warriors and only blank spaces in the center of the screen of your smartphone. Click on a blank space a little bit away from the entry point of the enemy warriors and you will be able to select from arrow shooting defending warriors to place on the empty tile. No extra perks or benefits are available to you at the start of the game but as you progress to the higher levels more and more attacking warriors become available to you along with many upgrades and power ups that start to unlock. Remember, you have chosen the path of the Aggressor so it is best to invest your earnings and rewards into upgrades and perks that increase the power of both your melee and ranged warriors. Try to get as many levels as possible into the “Damage Per Second” upgrade as this will be your bread and butter for baking delivering much more damage in the game. Getting many levels into this upgrade will be quite difficult as the coin requirement for each successive upgrade exponentially increases. However, it is also not a wise idea to halt upgrades of your defending warriors as they are the only things standing between you and certain defeat. Another core tip for all players who have decided to follow the path of the Attacker is to avoid spending golden coins and gems on additional bonus daily features like “Random Spin” or the “The Wheel of Fortune”. Both of these features eat up your gold coins very fast and you will not be able to save up for the later perks which give you a really huge boost and are very necessary for your continued survival in the game. At the end it all comes down to how much time you can spare for this epic time wasting game. Be mindful of the fact that playing and upgrading with an endless collection of Maple Warriors is a very addictive experience and you will find yourself unable to think about anything else during the day. Therefore choose with caution and do not let MapleStory Blitz take over your life and try to maintain a balance! It seems like the passionate path of the Attacking Warrior was not one destined for you. No matter, wizards and magicians have always been one step ahead and even stronger than many legendary warriors so fret not. Rejoice in the knowledge that this path requires much less physical effort and can potentially save you from embarrassing yourself in a crowd or an important meeting. Unlike the path of the Aggressor, you do need any physical strain for this path but you do need a good amount of mental concentration and decision making ability. Needless to say this path is for those clever players who have found the way to make the game work for them while they sit back, relax and watch the magic happen on the screen of their smartphone. Once you have chosen the path of the Clever “Strategist”, the first thing you need to make sure of is to follow the objectives given to you by the game for at least the first 5 waves. This will ensure that you get a handsome collection of Warriors, Upgrades and Perks. You need to mainly focus upon increasing the upgrades available to your Warriors so that you can easily crush all the enemy forces and deal with the much more intense Stone Golems and Rock Hurlers that come after the 10th wave. Upgrades like the “Axe Crusher”, “Speed Up”, “Blazing Arrows” and “Ultimate Cannon” are a few initial perks to increase your auto attack powers. DO NOT try to upgrade the initial few perks beyond a level of 5 because they start to cost too much in gold coins and provide only a little increase to your subsequent attacking power. As you begin to move ahead to the higher levels you will notice that you can now place Warriors with cross disciplinary abilities like melee warriors with a small arsenal of ranged cannons and area of effect abilities up their sleeves. These combo warriors will form the cornerstone of your strategy for the level and as a Strategist you have to take into account all the different abilities that they possess in order to make the most lethal combination possible. Some of these abilities might not be coincident with each other and you have to take precautions to make sure that the spells at any level do not backfire upon your own summoned army rather than decimating the powerful enemy warriors in front of you. MapleStory Blitz is a game that pits your skill against the talent of thousands of players from all around the world. In order to prove yourself worthy of being called a Champion Story Builder, you have to practice as much as you can in this game. An essential part of being called a pro player in MapleStory Blitz is to have killer reflexes and an extremely short reaction time. This is a game in which fights during a wave take at most ten to fifteen seconds and in that limited time you have to make split second decisions about which skill to use or which upgrade to perform and save your warriors from dying unnecessarily. This perfect timing that you will notice in many pro games and competitions is a product of sheer hard work and countless hours devoted to practice in the game. In the first few levels of the game you will be falsely led to believe by the in-game tutorials that there is plenty of time available for you to easily squirm your way out of every level. However do not trust the developers on this because they have made sure that you are forced to try hard to even barely survive during the later levels. 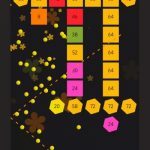 During the higher levels, you will instantly feel pushed by the need to make decisions as fast as you can because if you don’t the enemy bad blocks will run you over and you will lose. The key to executing a perfectly timed combo is to practice as much as you can even on those stages where a combo might not seem as effective as other ways. Initiating a combo also ensures that you deal much more damage than normal because your opponent is left exposed immediately after attacking and cannot retaliate as quickly because they are still trying to repair the damage that you troops dealt. The combo attack warriors are the most expensive yet the most useful and deadly type of warriors available to you in MapleStory Blitz. You can place your first combo attack warrior when you reach the tenth wave of bad blocks and it is pertinent to mention that you must have at least 1000 gold coins to place your first block. Therefore, if you do not have enough coins by the ninth wave, you should either look towards purchasing an in-game coin pack or exchanging some gems in order to get the required amount of gold coins. Getting a combo attack warrior by the tenth wave is absolutely necessary for your continued survival because these are the only type of warriors that can hit two enemy troops at the same time and destroy much larger Stone Golems and Rock Hurlers with one hit. All other types of forces, even the stronger melee warriors require at least two hits to destroy the larger Stone Golems and Rock Hurlers that start coming out in large numbers after the tenth wave and you need a legion of combo attack warriors in your army with much greater firepower at their disposal in order to deal with these abominations. It would be wise to keep in mind that the combo attack warriors are initially expensive but their upgrades do not increase as exponentially as their simple melee and range counterparts. Therefore, it is a huge advantage to keep these combo attack warriors placed at the entrance and preferably near the first corner of the level which will provide you with a greater range of firing spread as well as getting more benefit from the upgrades that you will be making to the combo attack warriors. The most optimum way to deal with any kind of wave and beat the game completely is to place combo attack warriors at all six corners and make an alternate arrangement of melee and ranged warriors as this will decimate any kind of wave effortlessly and you can get a real shot at defeating the even larger Magma Stone Golems and Giant Rock Hurlers that roll out after the 20th wave and who knows you might finally beat the game if you follow all the tips and strategies correctly. A key reflex that you need to focus on developing is the efficient use of your skills. Instead of trying out a new warrior every other day, choose a single type of warrior that you like or you think you can play well after placing it into battle. Give two to three hours of practice to fully understand what each skill of your chosen warrior does. Some new players get exasperated when a fight starts and begin to spam all of the warrior skills. This is the main cause of many fights with the enemy ending badly for your side. Each of your warriors has a defined Area of Effect and using it beyond that area will net you no damage on the enemy warriors. The combo attack warriors have a separate stamina and power ratio as compared with the normal warriors and therefore you have to keep these ratios in mind before you mindlessly start placing a large number of combo attack warriors as they are the most expensive type of warriors in the game and have the highest cost of upgrades. Another reaction that you need to master is the sixth sense of detection in this game. This sense only comes with time as you play more and more games. Having a good sense means you literally get a gut feeling that something is wrong and you might be need to summon more warriors into the scene to combat a huge enemy wave of warriors. Use this sense to your advantage and become the Ultimate Story Builder in MapleStory Blitz!